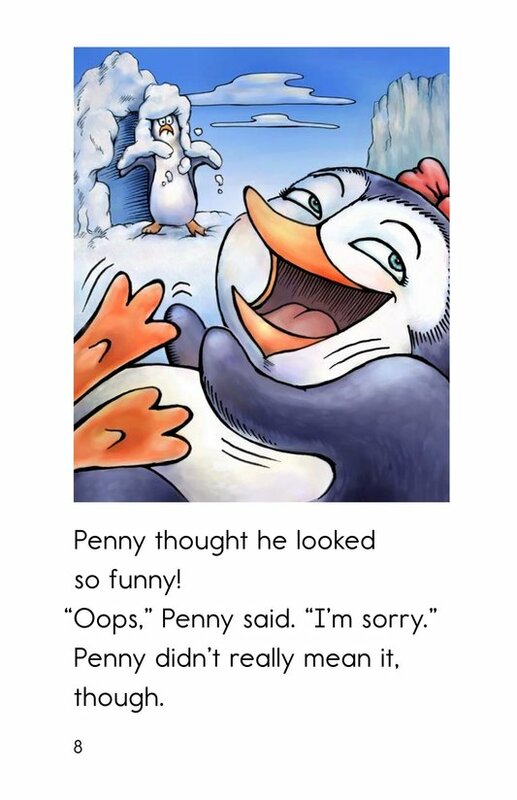 Penny thinks it's funny when other penguins fall down. 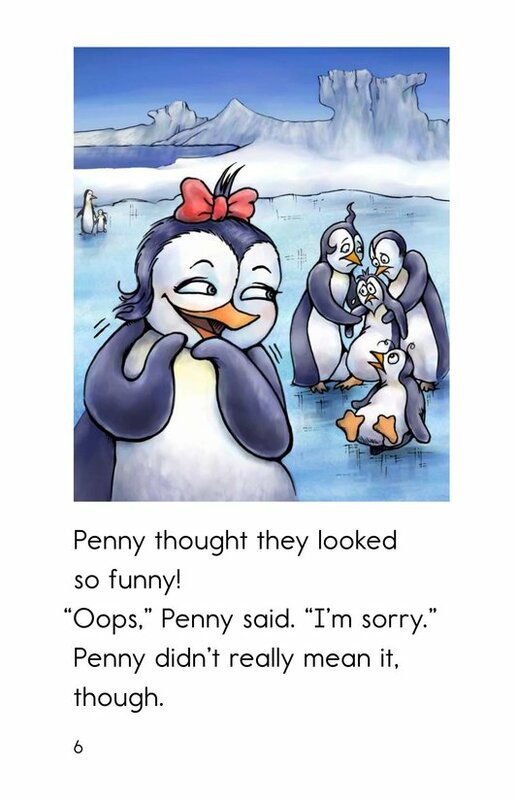 Sometimes, she even knocks them over on purpose just to see them fall. 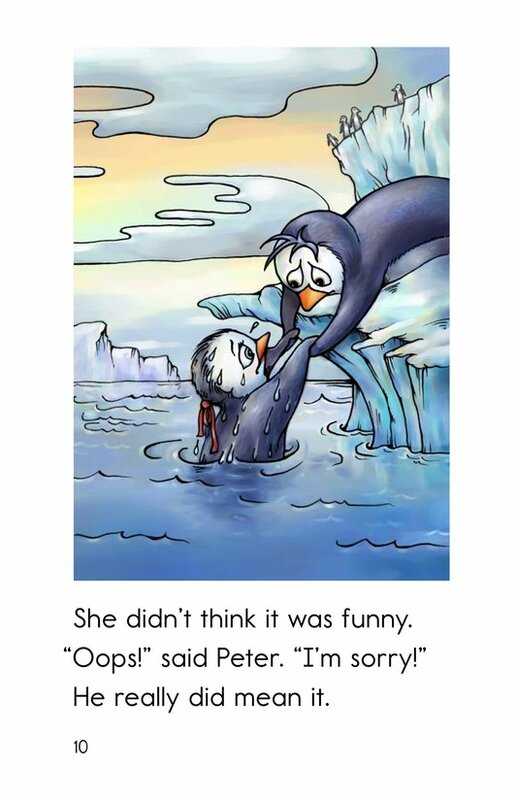 She says she is sorry afterward, but she doesn't really mean it. 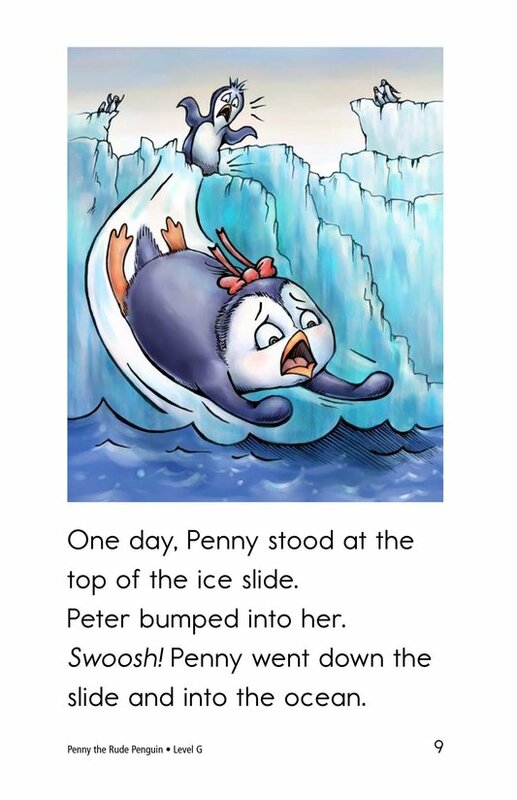 One day, Penny herself gets bumped and falls down-way down. 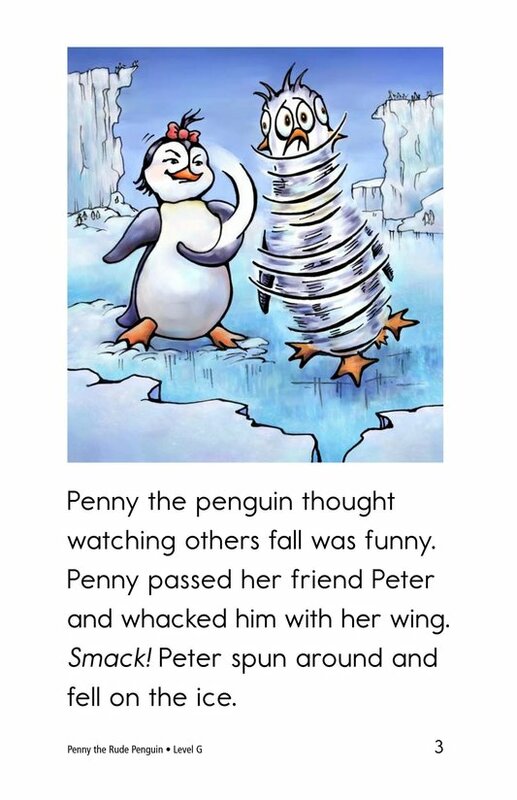 Suddenly, it's not so funny anymore! 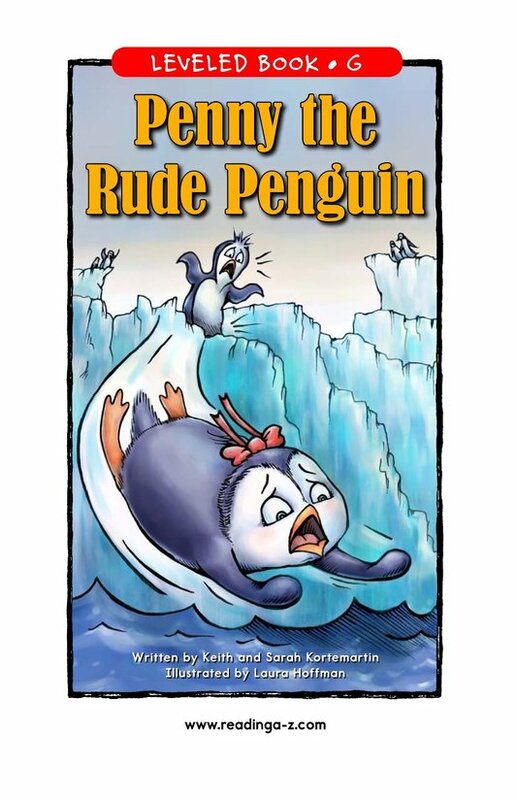 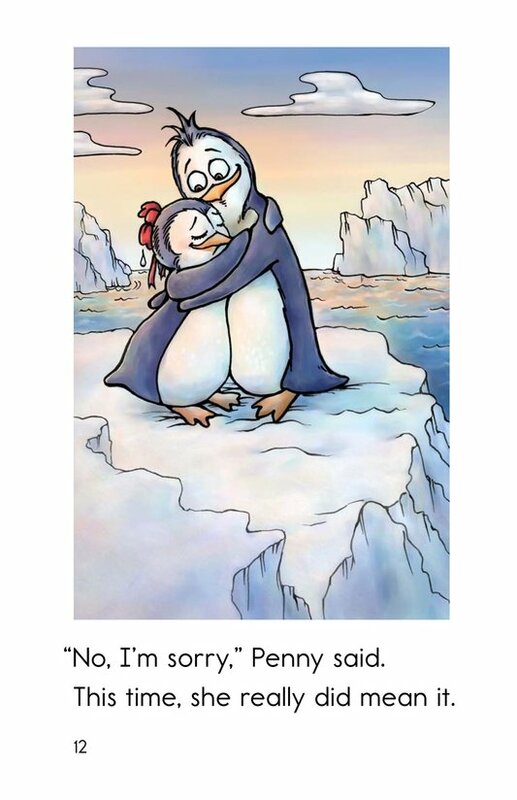 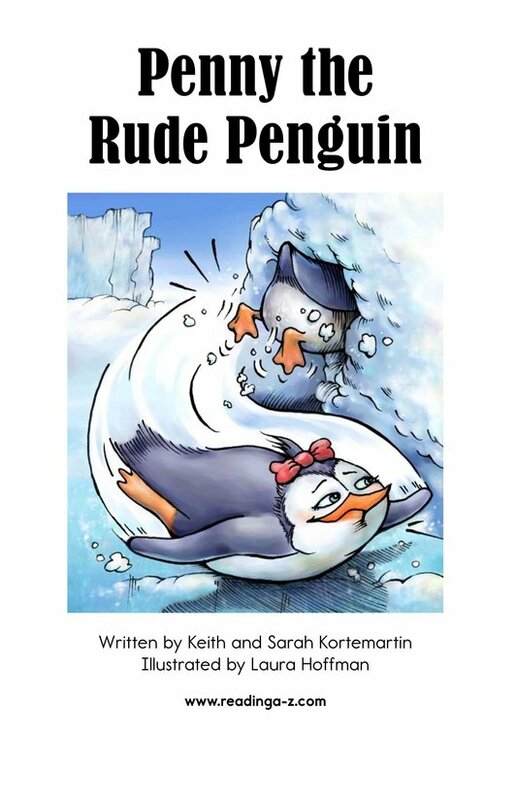 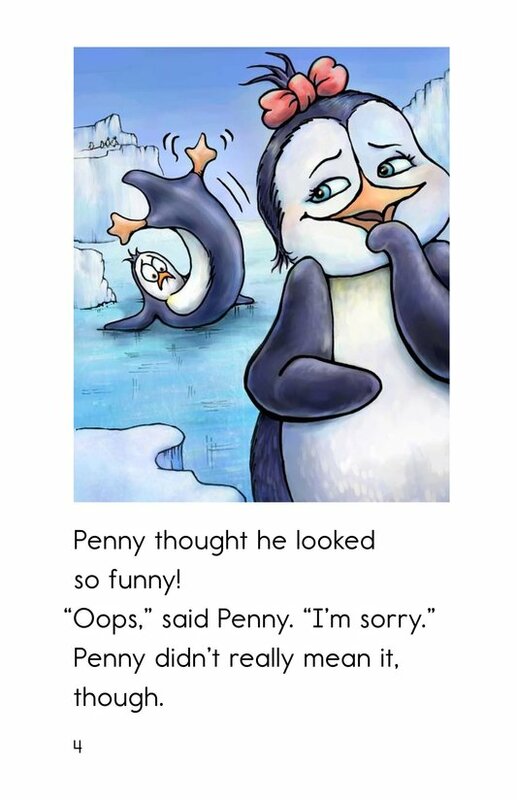 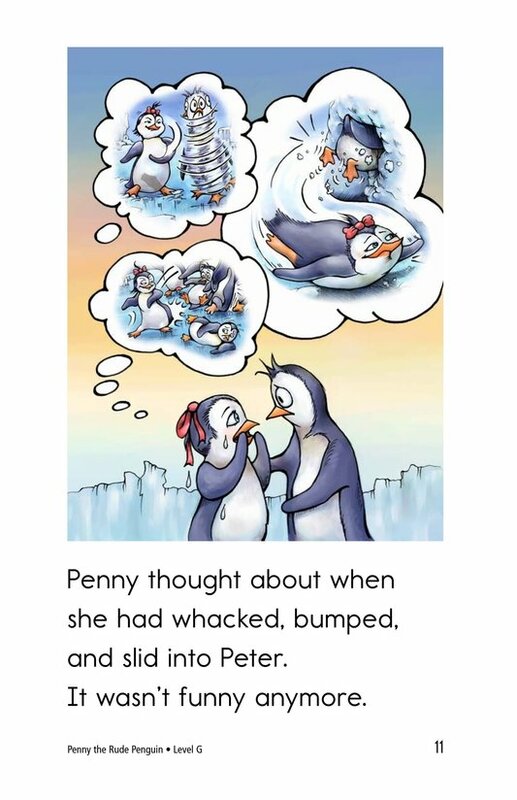 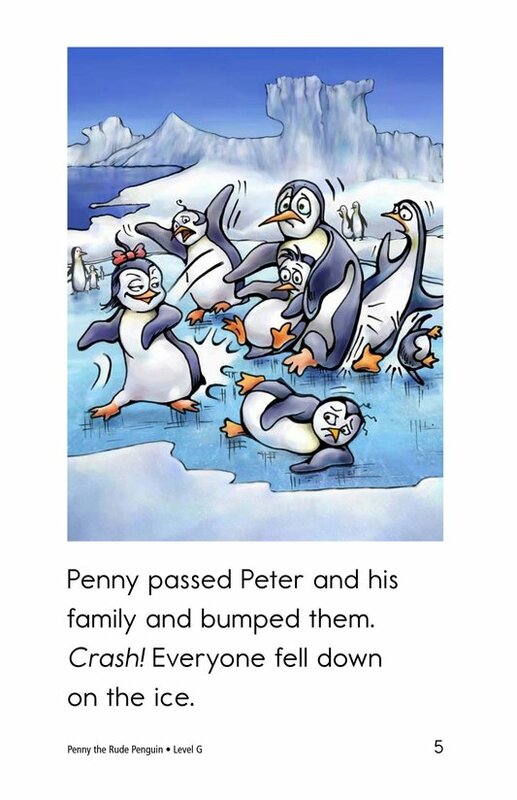 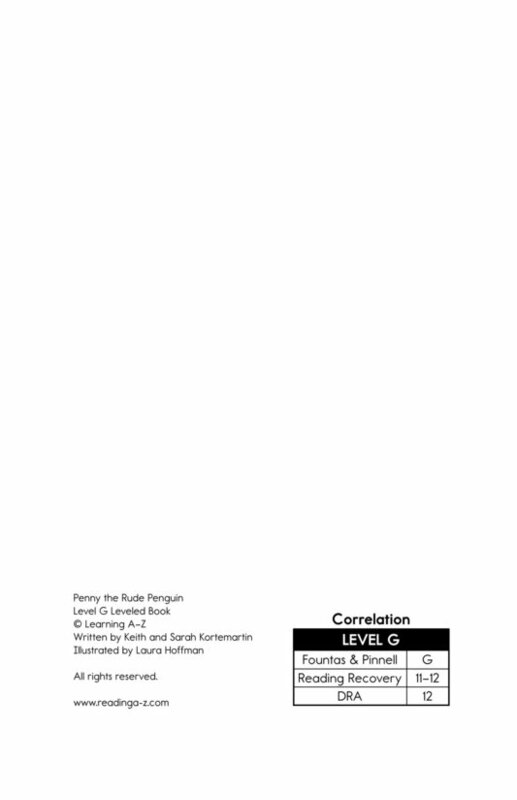 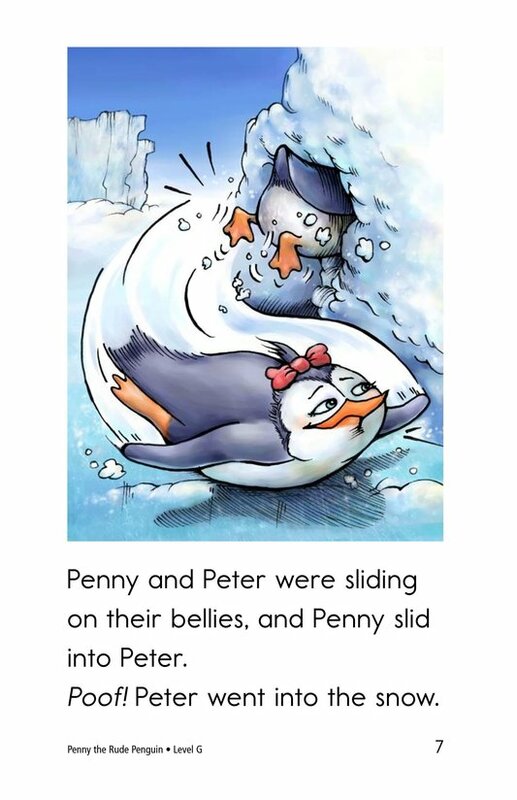 Penny the Rude Penguin introduces students to the golden rule with engaging characters and pictures, high-frequency words, and repetitive phrases that support emergent readers.